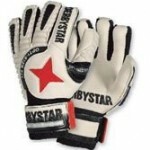 Top goalkeeper glove with Finger Protection Technology. Individually applicable rods to avoid bend injuries (snapping). Super soft natural latex foam for optimal grip. Outstanding throw and catch characteristics in all weather conditions. Excellent impact absorption. 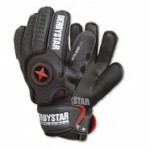 Natural latex striations foam and DBX foam on the upper hand for safe fist defense.